Public Notices are notices of information given to the public regarding different types of legal proceedings within the City of Tye. Public Notices are issued by the City Council for proceedings such as; City Council meetings, tax rates, zoning or rezoning, variances or other minor proceedings which require the approval of the City Council. Some public notices are required by law, others are not and are only posted for your information. For questions concerning any of the public notices posted on this site, please contact City Hall. 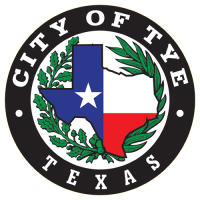 A SPECIAL meeting of the Tye City Council will be held Monday, April 22, 2019 at 7:00pm at Tye City Hall, located at 205 North St.